The trailer for Doctor Who’s Christmas Special has been released, and it illuminates exactly where the First Doctor is coming from. He’s seconds away from regenerating at the end of The Tenth Planet. This is some absolutely astonishing symmetry, considering that the First Doctor’s final adventure saw him outwit the Mondasian Cybermen. 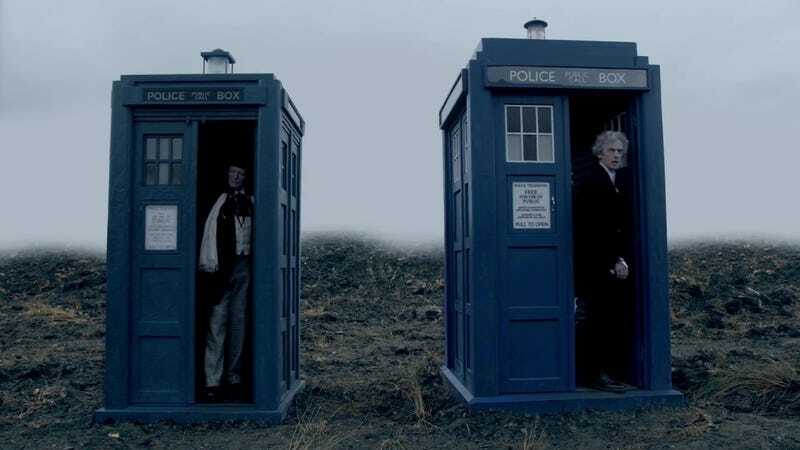 It’s fitting that Twelve is going out facing the same foes. The serial was released on DVD in 2013. It used to be viewable on DailyMotion, but that appears not to be the case anymore. It is a wonderful swan song for William Hartnell, and worth tracking down.